Are you planning to renovate your home or build a new one? What renovations are you aspiring to do in your living area to bring out a unique and elegant feeling? The manufacturing process of a tempered glass involves heating an ordinary glass in a furnace and quickly cooling it down. In this way, the glass is able to withstand the harsh temperatures of the fireplace as well as improving the overall strength of the glass. Most people prefer using tempered glass due to this increased strength and resiliency. Even with stronger, more heat-resistant glass it is important to make sure your Spark is properly ventilated at all times. The main reason for this is to avoid exceeding the thermal shock limits. If you do, the glass may crack or even shatter. The maximum thermal shock limits are between 400-600 Fahrenheit degrees. Ceramic glass is gaining popularity by the day. It is a great option for the fireplace because, unlike the tempered glass, it has no reflection and the production process is simpler despite having a significantly higher thermal shock limit. Its thermal shock rating stands at 1380 Fahrenheit degrees. This is far beyond anything that a home fireplace can produce. Your glass will always be safe and free of any cracks. The preparation process is simple and one that allows the manufacturers to pass savings on to you. Why is this important? 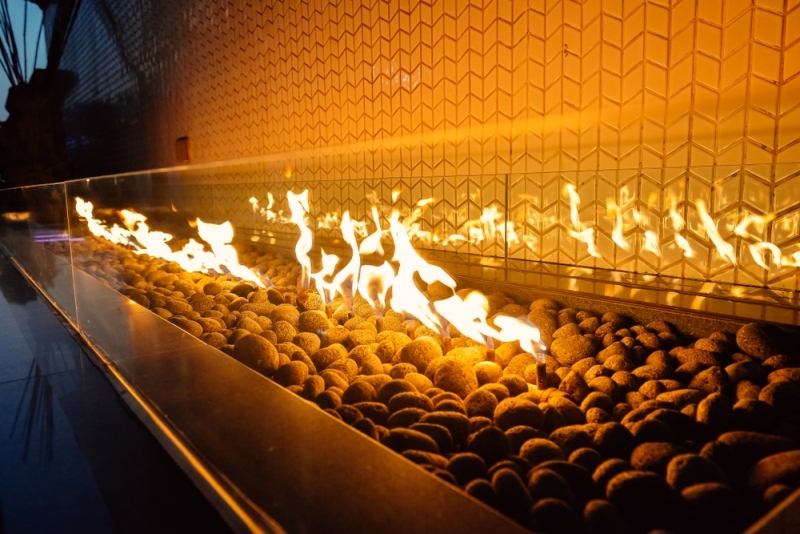 It means once you contact a fireplace manufacturer, they don’t have to place an order and wait for the glass to be manufactured, effectively reducing your overall wait time. While ceramic glass has a higher thermal shock rating, it is not as strong as the tempered glass. U-value measures how effective the material is as an insulator. The lower the value the better a material is as a heat insulator. Depending on your specific needs the U-value of either tempered or ceramic glass will be what you are looking for. U-Factor measures the rate of heat transfer and tells you how well the window insulates. U-factor values generally range from 0.25 to 1.25 and are measured in Btu/h. ft² °F.